Before I talk about this cake we need to talk about last night’s GBBO – oh my god! It really was one of those episodes that will go down in bakeoff history. My biggest issue is why was the ice-cream taken out of the freezer without telling Iain? I just don’t get that – all someone had to do was say to him it needed moving or is the speculator in me wondering did the editors purposefully leave something out of the scene to add some spin?? 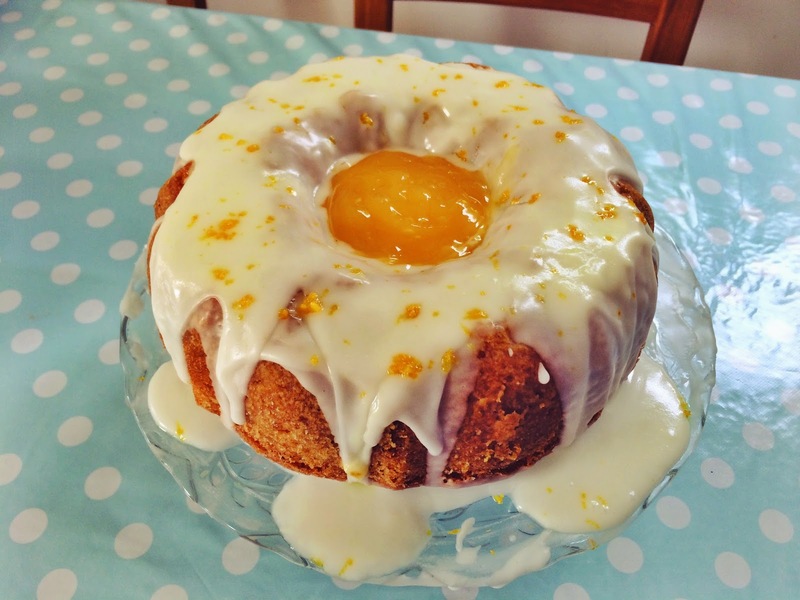 But anyway – Lemon Curd Bundt that looks like a fried egg! I made this cake a few weeks ago on a rainy Sunday that called for staying in my PJs and baking all day. 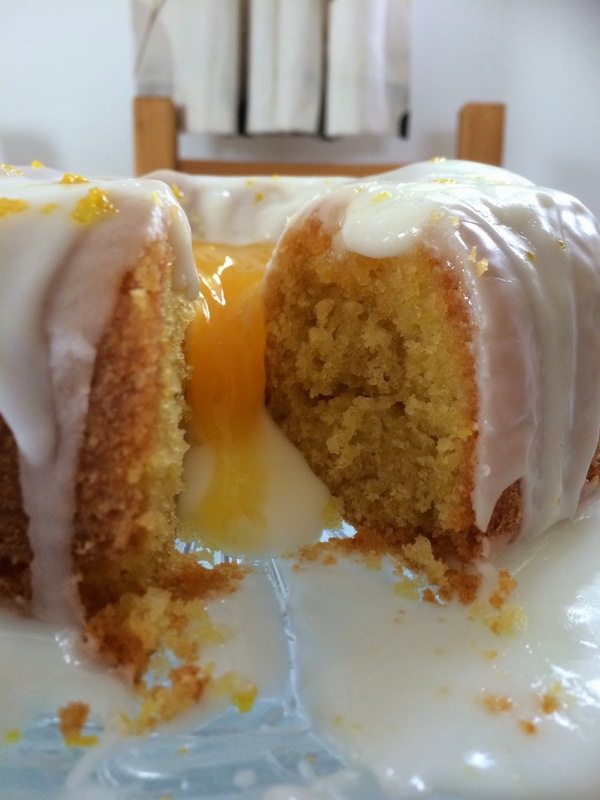 The initial idea was to have lemon curd running through the middle of the sponge but it dissolved in the oven giving a very zingy flavour sponge. 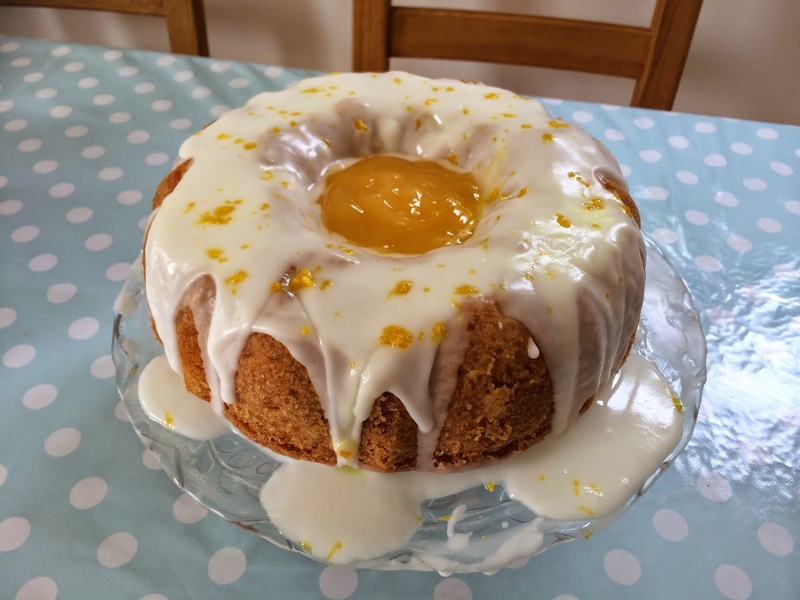 This recipe was as a bit of make it up as you go along type thing and I know I could explore it further before posting it on here but ah well, it tastes good and we all like to share the cakey love. Add a few tablespoons of flour to prevent curdling then whisk in the eggs before adding in the remaining flour. 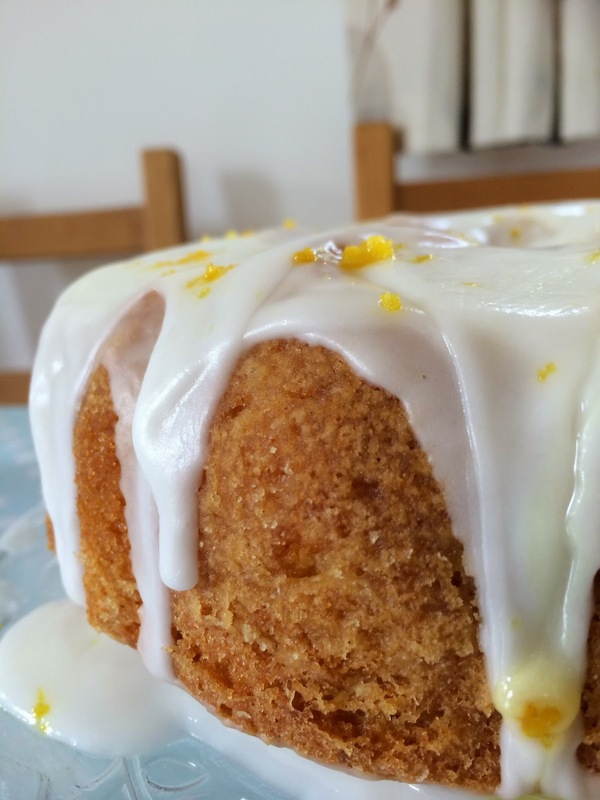 Pour half the mix in the tin and drizzle a few tablespoons of lemon curd over the top then adding the remaining mixture. Place in the oven for around 50mins or until a skewer inserted comes out clean. Leave in the tin for 30mins then carefully tip the cake onto a wire rack to cool. Add the juice of the lemons a bit at a time to the icing sugar and mix well until you have a thick but pourable consistency. Pour over the cake allowing the icing to fall down the sides. Place a few tablespoons of lemon curd in the centre of the budnt.